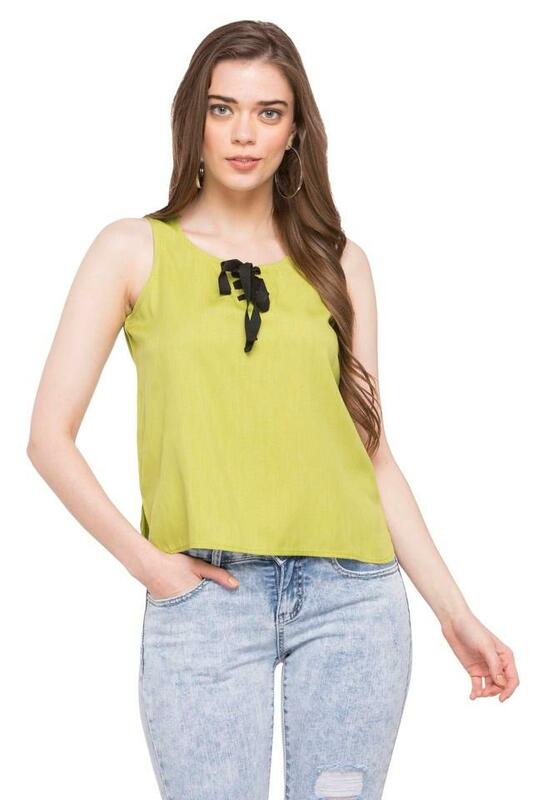 Add an extra dose of style with this top from Nush. It has been tailored with care using a good quality fabric that makes it both comfortable to wear and easy to maintain. Besides, it comes with a slub pattern along with its perfect fit design that accentuates its look, while the round neck complements its overall style. 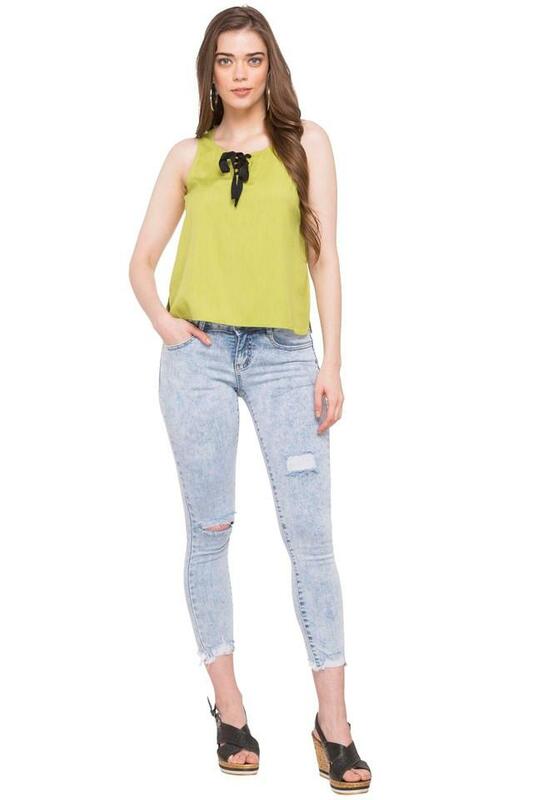 Inspire dapper looks with this top. 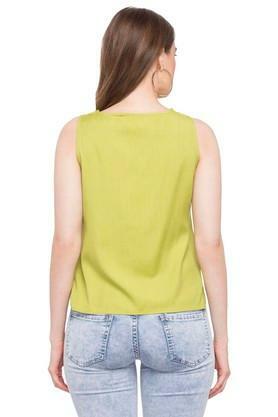 Create a sophisticated style by teaming this top with a pair of blue jeans and strappy sandals.